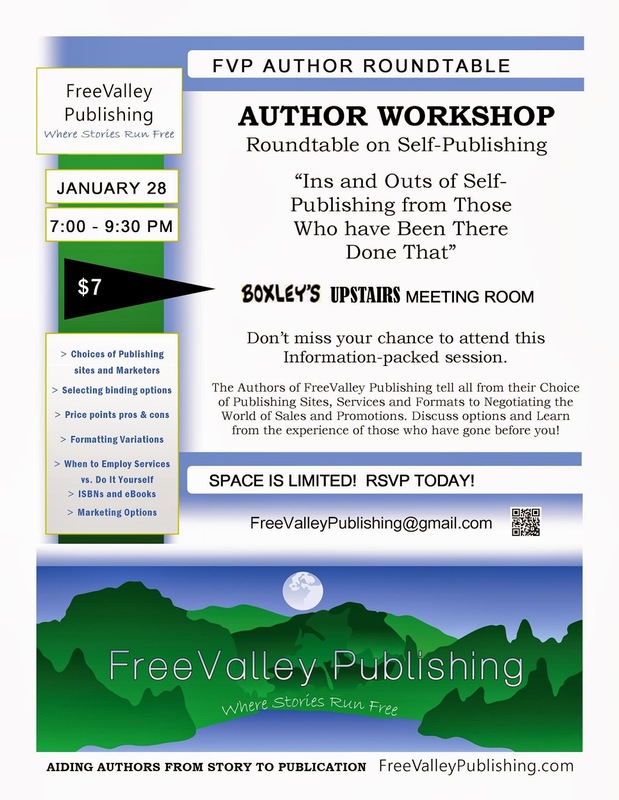 Author Thursdays: AUTHOR WORKSHOP Round table on Self-Publishing Ins and Outs of Self Publishing from Those Who have Been There Done That? The Authors of FreeValley Publishing tell all from their Choice of Publishing Sites, Services and Formats to Negotiating the World of Sales and Promotions. Discuss options and Learn from the experience of those who have gone before you! Don’t miss your chance to attend this Information-packed session.